I wouldn't say I'm a spiritual person, but I do believe in horoscopes, star signs and lucky charms. These lovely bracelets* which I received from Karma Jewellery will be my lucky charm to collect good Karma and hopefully attract positive energy to help me achieving my set goals in 2015. Ever since I found Karma through a search on Twitter, I fell in love with their beautiful and stunning bracelets and bangles. 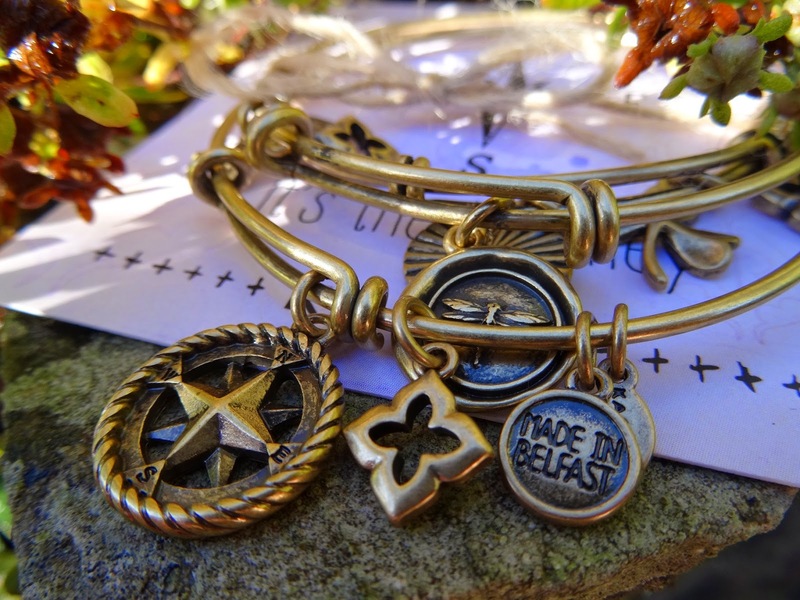 Made in Belfast, a city full of history and charming character, Karma's jewellery is handcrafted and finished with either a silver or antique gold touch. The brand takes its inspiration from world travels, fashion, culture and spirituality, all values that are incorporated in every piece of the collection. So far, the range includes beautifully designed bracelets, stacks and bangles, that all come with a special meaningful token or coin. The idea behind the jewellery is 'to uplift and inspire the wearer, through symbols that emphasise your unique inner values'. I really like the idea of meaningful jewellery which applies an individual touch to the pieces, transfers positive energy and makes the ideal thoughtful present for someone special. Not only can the wearer collect good Karma, the brand also passes on the positive energy to local charities and donates 10% of each sale. Karma kindly offered me the chance to chose bangles from their range and I was so surprised and super excited when they arrived. Each bangle has a gorgeous antique gold finish with wonderful details which looks very vintagy and will go very well with any of my outfits. You can literally stare and admire them all day and I feel my pictures don't do them enough justice. The bangles have a diameter of around 7cm and fit perfectly around my wrist. 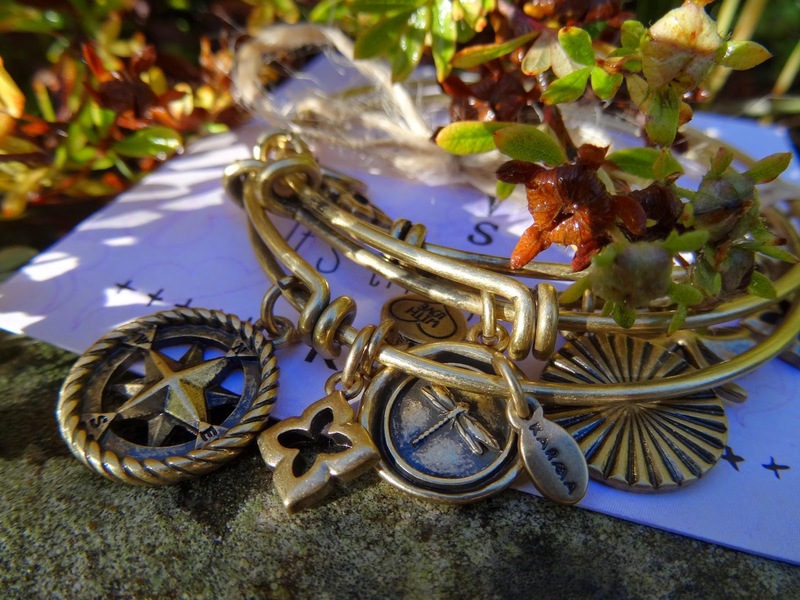 The first one is my absolute favourite: the Gold Compass Coin bangle*. 2014 wasn't one of my best years, to be honest. Numerous throwbacks, life circumstances and obstacles made me feel depressed that I wasn't nowhere near where I wanted to be at my age. This caused a lot of pressure which ended in even more failures. At some point, I quit my job and started to find back to myself and to remember all those dreams I had when I started university. Somehow I really lost track of what I wanted to do and how hard I had worked for. So the compass represents my inner journey, it functions as a reminder to not lose sight of my aims and will hopefully show me direction and orientation and lead me back on the right track. My name 'Carolin' means 'The Strong' or 'The Free Spirit' and throughout my life, this meaning has proven to be rightful many times. I love the arts and travelling, I'm a passionate linguist and literature researcher and I have an extraordinary sense of independence. 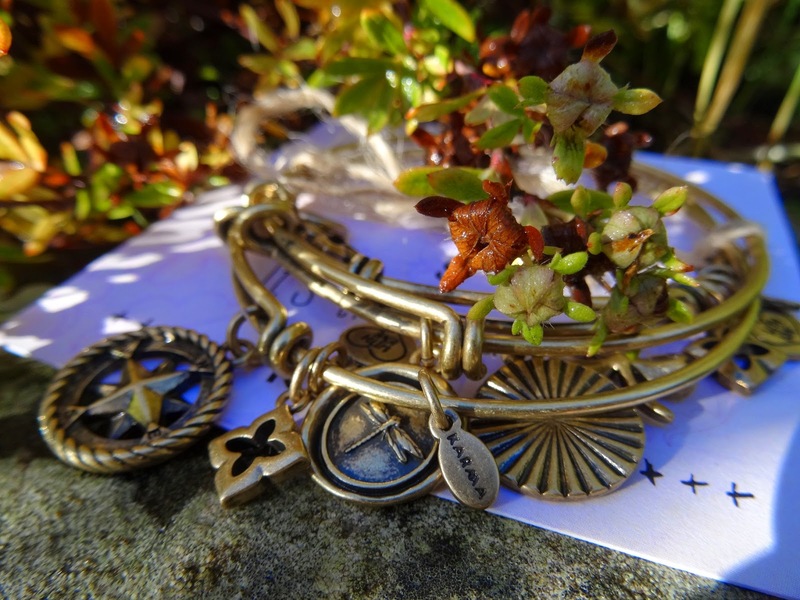 When I read the Dragonfly Coin bangle* stands for swiftness and freedom, it hit the nail straight on the head. I chose the Irish Shamrock Coin bangle* because I've been to Belfast and Ireland a few times and the city has a lovely charm which I wanted to represent with this bangle. The Irish Shamrock stands for luck and will remind me to stay positive in 2015 and to avoid problems and conflicts. 'For each petal on the Shamrock, this brings a wish your way. Good health, good luck and happiness for today and every day'. 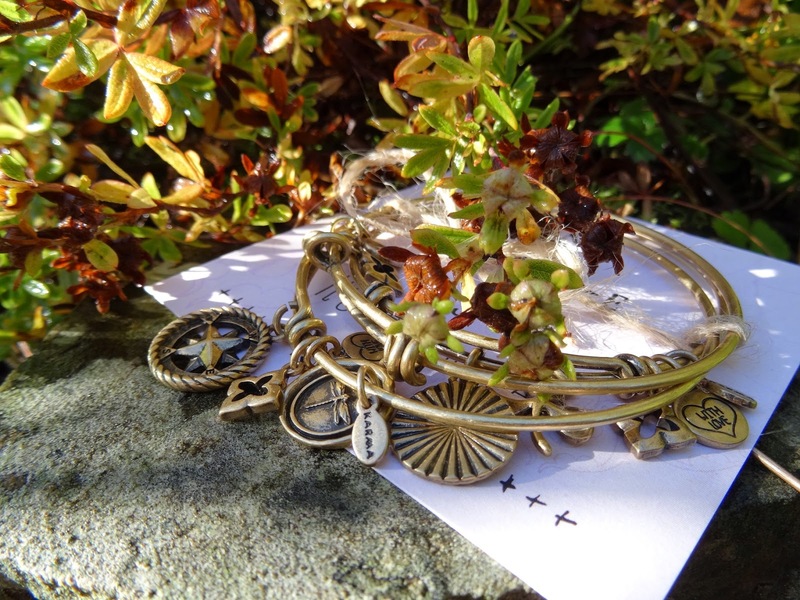 Each bangle comes delicately wrapped with a sentiment card, explaining its unique symbolic meaning and costs around £18.50. Oh, and the lovely people over at Karma also featured me as their Karma Girl of the month on their blog. Thank you so much, ladies! I've styled my bangles in a few fashion posts here on StyleLingua and you'll find the looks in my What To Wear Tonight OOTD and Boho Autumn Style. Enjoy! Thank you so much for reading today's post. Have you heard of Karma before? Which bracelet is your favourite? Do you like the styles?